Soft Skill, Soft Skills Institute in Kolkata. 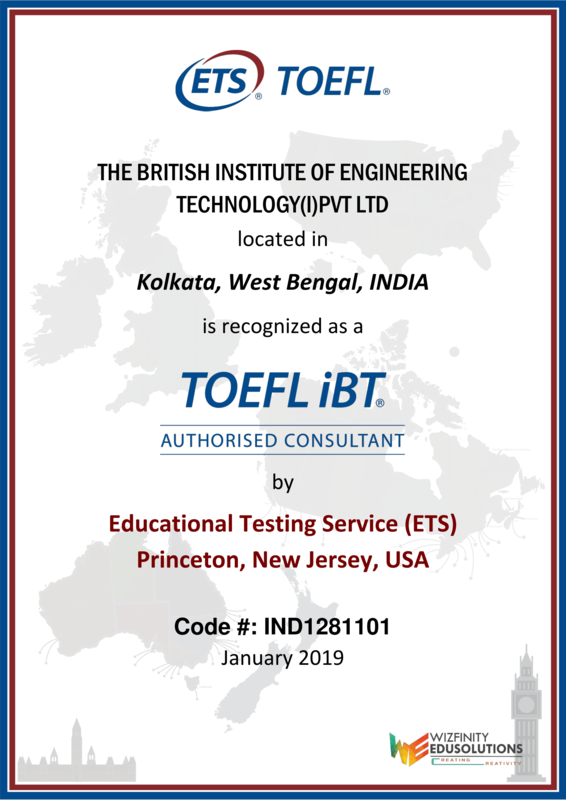 The British Institutes is an Authorised TOEFL iBT Registration centre which means the students can register for TOEFL examinations at our centres while making Online payment to ETS TOEFL® . Educational Institutions specially many North American Colleges and Universities, as well as agencies and programs, ask for official TOEFL test scores during the admission process. TOEFL (The Test of English as a Foreign Language) is an examination that is administered by ETS (Educational Testing Service) and is used to evaluate an English speaker’s proficiency in the English language. Other Colleges accept students with a score under 45. The Students would therefore get the knowledge and will benefit from the skills to qualify the TOEFL iBT Examination. The course covers proper strategies, analysis and practise for the best score in the exam. TOEFL iBT test has become available worldwide, whether you take the internet based, computer based or paper based. BIET TOEFL Preparation course will help the aspirants’ to achieve an English language qualification recognized globally through TOEFEL Exam. To understand the strength and weakness Zone. Area to be focused for revision. To understand of each test area. To improve the Examination Skills. To study the TOEFL, the Candidates will get help in getting the best preparation for the test. Preparation is the most important and giving quality time in studying TOEFL will help the students in being best preparation for the test. It is a comprehensive test that provides the candidates with the ability to use English correctly. It familiarizes them with different types of communicative activities that one would face at a University or College. Reading and understanding written academic or training language. Written assignments appropriate for university or training levels. Listening and comprehending English, both formal and informal in a conversational style. Speaking in formal or informal situations on given topics.